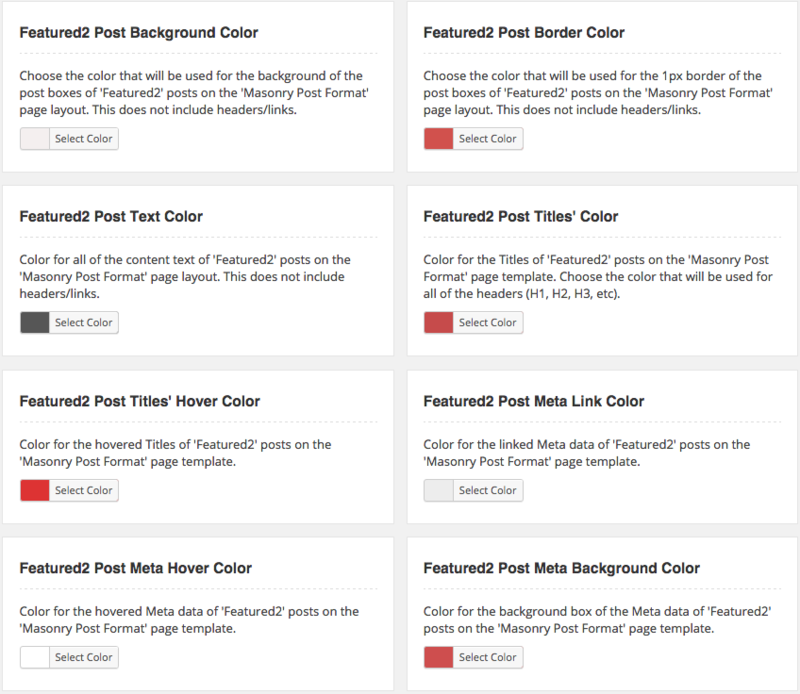 The WordPress Post Formats Plugin by ProjectWP is a really great way to display posts on a WordPress blog. 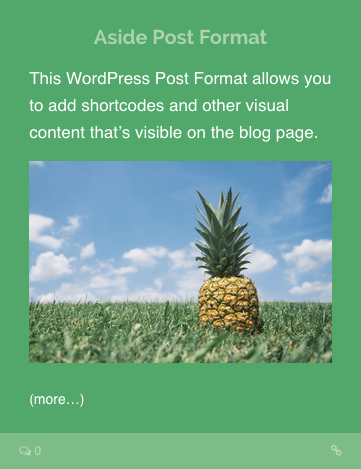 Take advantage of the phenomenal (totally underused by most bloggers) post format option available on any WordPress theme. 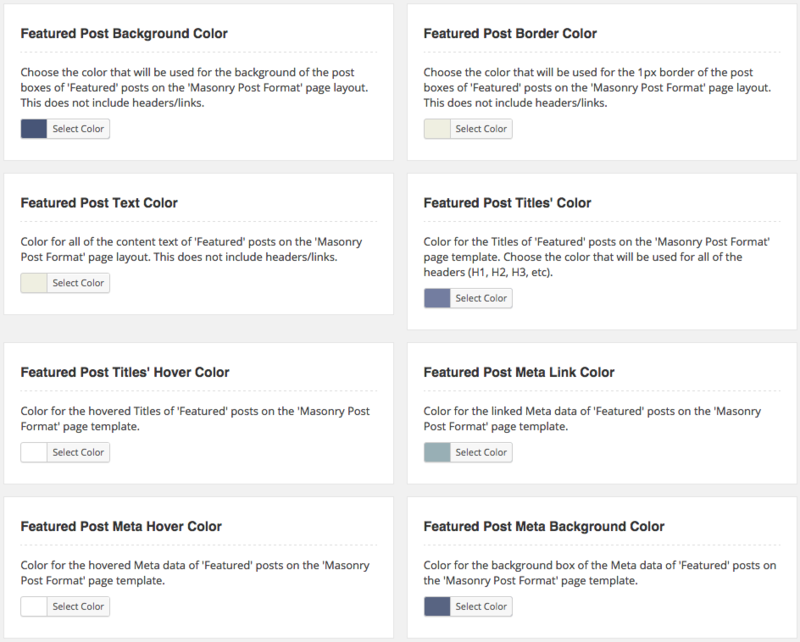 This premium plugin enables you to create vibrant blog content (on the blog page) not previously used on your website. 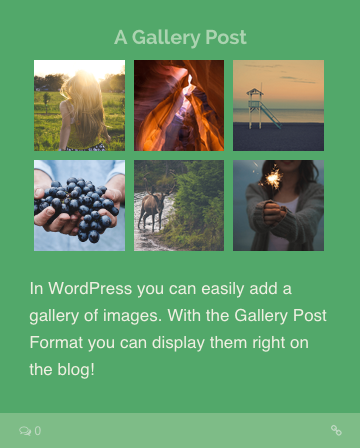 Displays a featured image at the top of the post excerpt, the title and a short excerpt. 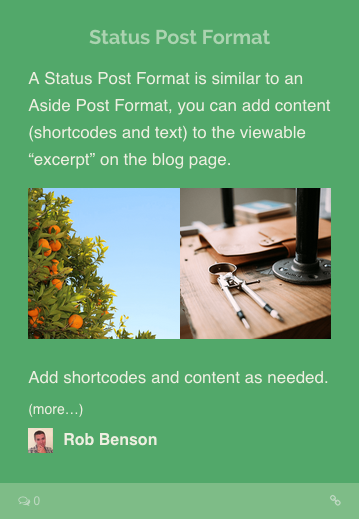 Displays the title and any content you want visible (shortcodes, images, etc.). 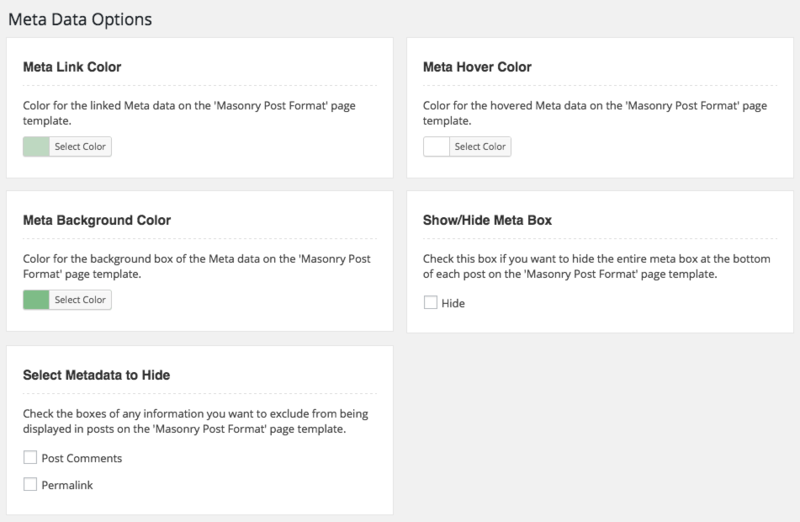 Displays the title, images that open to a larger view and the excerpt of the post. 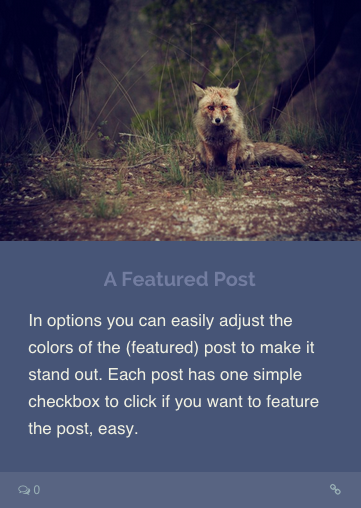 Displays an image with a hover effect that displays the post’s title. 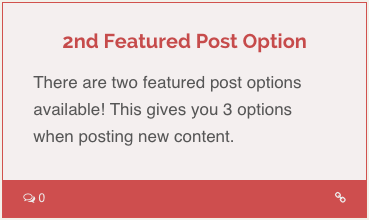 Displays the title of the post which links to where you want it to (outside the site if you’d like). 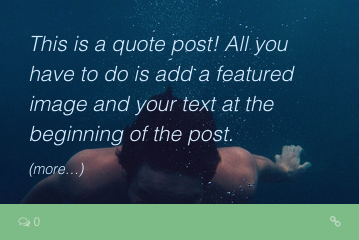 Displays a the featured image of the post in addition to your written quote. 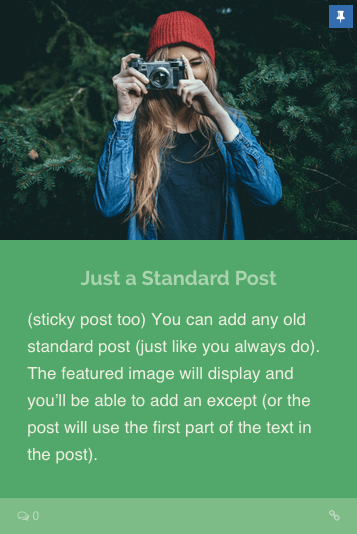 Similar to the Aside Post Format with the addition of the Author’s image and name (linking to the Author’s posts). 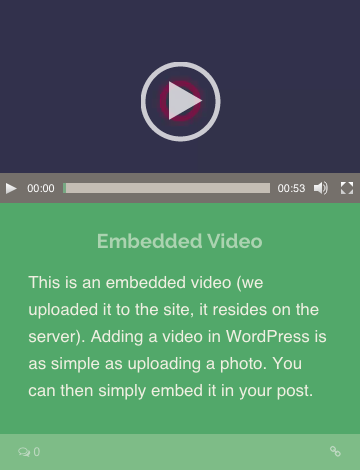 Displays a the linked video (or embedded video) at the top of the post in addition to the post’s title and excerpt. 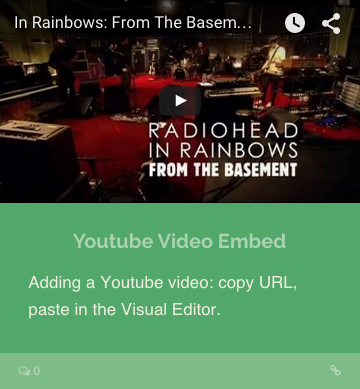 Displays a play bar allowing the Visitor to play the audio file without viewing the post directly. 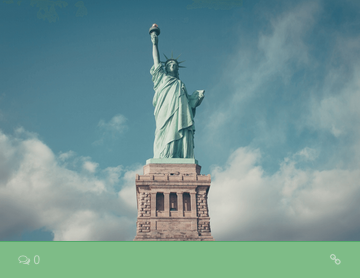 Also includes title and excerpt. 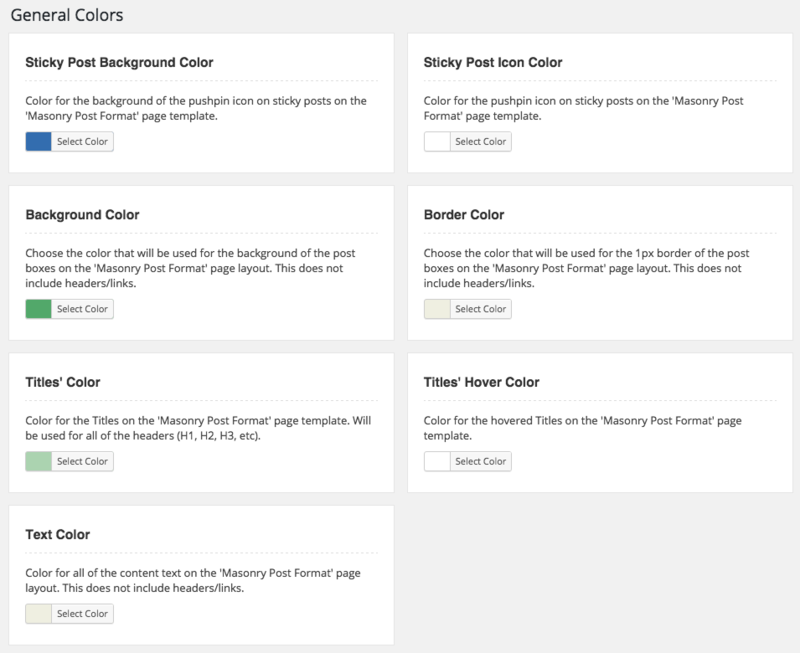 With the Post Format WordPress Plugin you’ll have all the options you need to style the layout to your needed specifications. 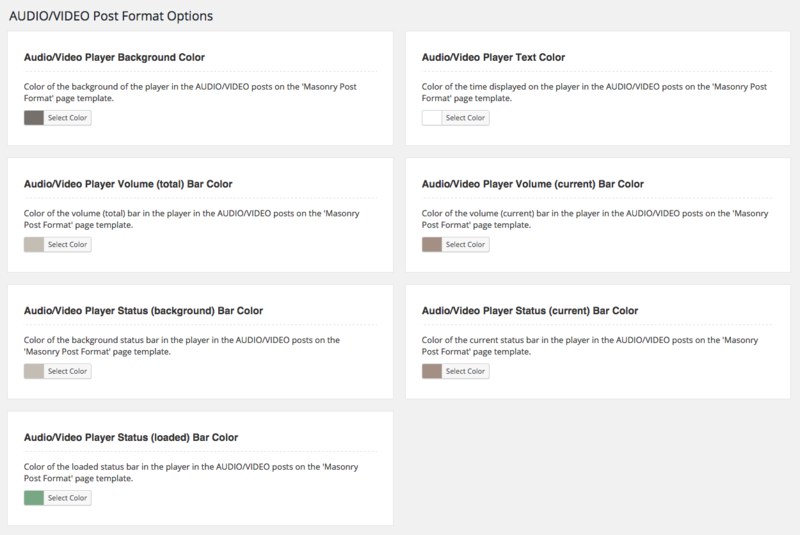 A full customizable option panel, set it once and start posting.